How many time have you built a new website? I’m sure many times, a beautiful site with a great theme, social sharing icons, optimal contents and a lot of plugins. And then? A lot of people completely forgot about traffic! No website can stay alive without a constant flow of fresh traffic! In this article I want to give you easy and clear steps to ensure your blog, your website or your social media profile get seen by thousands of people each and every day. Only in this way you can move forward with your projects. You know, Facebook posts by a few months don’t deliver. Likes and shares statistics have gone down, and only a small portion of your actual Facebook followers are going to receive your updates. So the best way to send your contents to all your followers is to use “FB Notes”, a Facebook app that acts like a blogging platform. It allows you to create text posts with images, and the usual text formatting of a blog. More, you can even target people, or pages. Connect to https://www.facebook.com/notes/. In the high right part of the page you will find a few links; one brings you to your notes, while the other, “Write a Note”, is really self-explanatory. Click it. The new window seems a WordPress blog post window. There you can write anything you want, including articles, press releases, reviews, newsletters, funny things, JV launches, and much much more. You can bold text, put links and add as much images as you like. All is really easy. On the “Tags” section you can insert the names of your followers that could be interested in your article, and the name of Pages where your contents could be appreciated. Use it wisely, without targeting too much people at once. Have you seen how easy it is to get traffic from Facebook? Try to think at how many times we tend to visit a website before making a purchase… at least 3 to 4 times! Retargeting is a new technique used to follow your visitors even when they leave your websites. Have you ever seen ads relative to a product you checked a minute before, from eBay, Amazon and big services? That’s retargeting. So you can get your visitors back to purchase your services, software, or simply to remember about your blog. If you consider that in general 95% of people coming to a website go away without purchasing, sometimes even abandoning the cart, you can comprehend the real power behind this technique. With retargeting you can create lists of people that abandoned your site without purchasing, of people that left without completing the order, and so on. You may create an ad for each product, or for more products in the same niche. This is a great technique, and for using it I suggest you GrowTraffic at https://growtraffic.com, that works with Facebook only. Retargeting done wrong can be costly, and that’s why I wnat you to start with minimum plans to test it out. 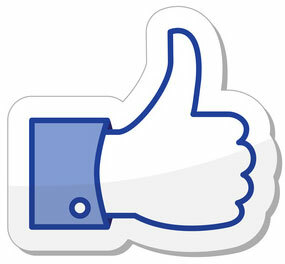 Start from retargeting via Facebook, and then see if you like this method. Hashtags are everywhere on social. They are that keywords preceded by a # sign, and I’m sure you have seen them a lot of ways. Whenever you write new contents, you record a new video, a new podcast or something else, remember you have the power to share it via social media, and with a spin. You may copy your text “as-is”, and then add the hashtags at the end. Hashtags are supported by Facebook, Twitter, Google Plus, Pinterest, Instagram, LinkedIn, Tumblr and a lot of other websites. Try to select no more than two to three keywords that are relevant to your topic, and add them. In this way who is searching by using hashtags will be able to find your contents with ease. You can check the latest trending hashtags on Hashtags.org, at https://www.hashtags.org, or you can check them on Twitter for your desired city, in case. Again, try inserting a hashtag in Google Plus, and you will see a lot of additional hashtags referring to your first one. For example if I’m posting a wedding dress photo coming from my store, I will put these hashtags: #wedding, #weddingdress and #weddingdresses. It’s easy! Be creative with your hashtags, they may bring you a lot of visitors! These three technique, two free and one paid to be precise, can guarantee a lot of interested visitors to your websites, and it will be easy to turn them into buyers or serial visitors. Try to look around to see these techniques applied, read some more ideas and go straight without thinking twice. Traffic will grow!